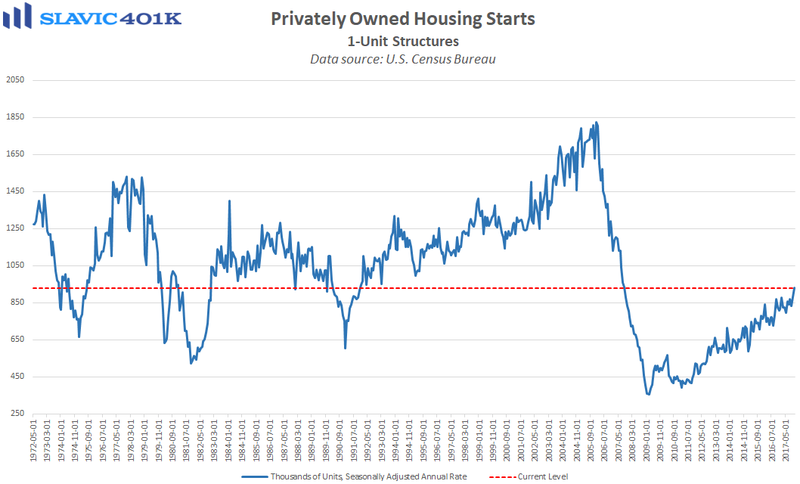 A new report from the U.S. Census Bureau showed that privately-owned housing starts in November grew at a seasonally adjusted annual rate (SAAR) of 1.297 million units. 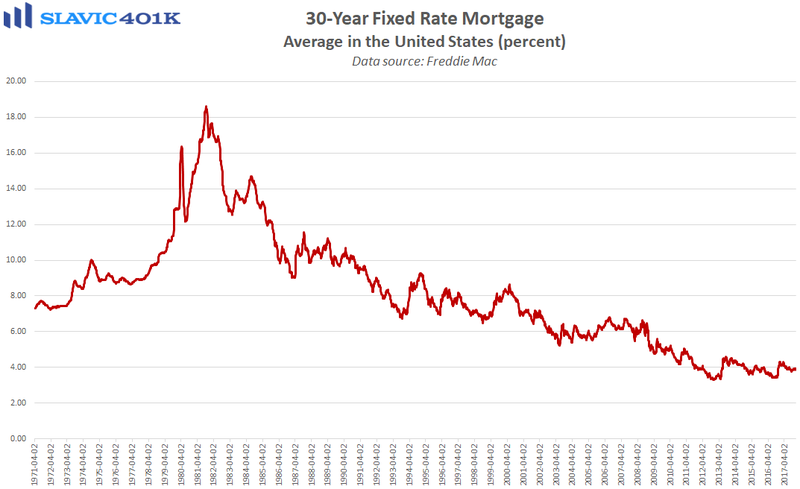 That was a 3.3 percent increase from October’s downward-revised print and a larger gain than economists had anticipated. 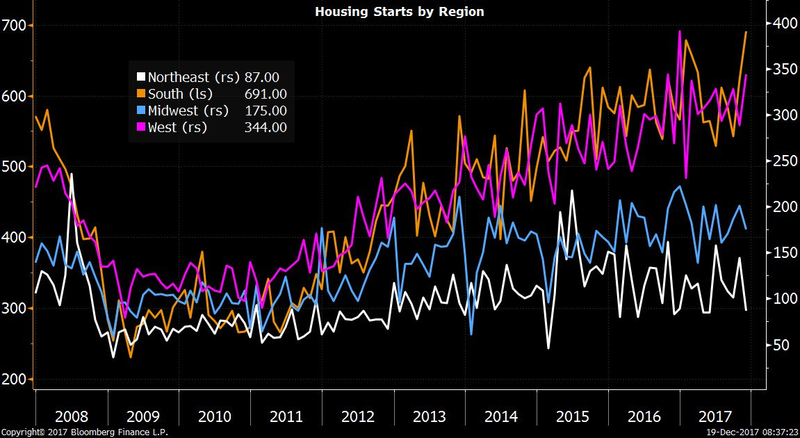 Most of the strength occurred in single-family housing starts, which rose by 5.3 percent last month, while multi-family starts (rentals) lifted by just 0.8 percent. 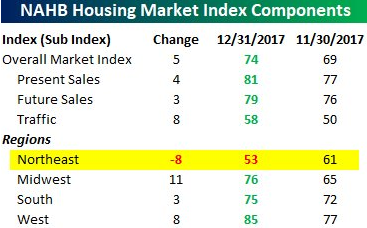 Regionally, housing starts increased in the West (+19.0 percent) and the South (+11.1 percent) in November but declined in the Northeast (-39.6 percent) and the Midwest (-12.9 percent). As for building permits, this metric of future construction activity declined in November, albeit from an upward-revised October print. 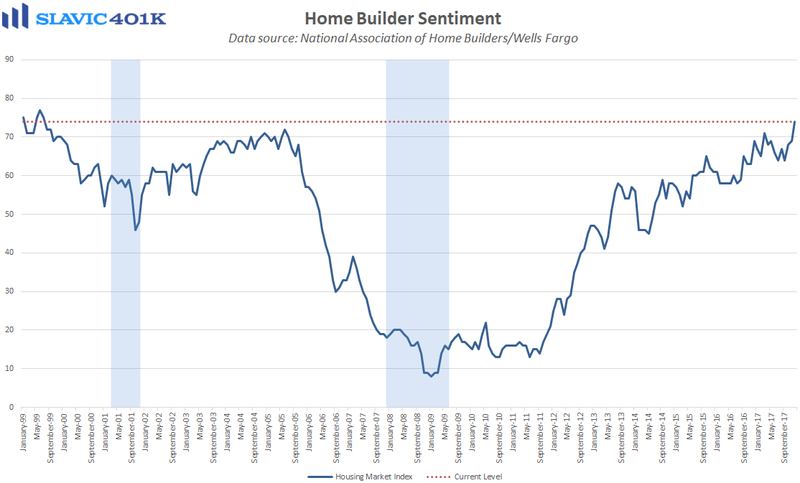 Further, new data from the NAHB showed that homebuilder confidence jumped in December to the highest reading in nearly two decades, including solid gains in respondents’ views of sales conditions and prospective buyer traffic. 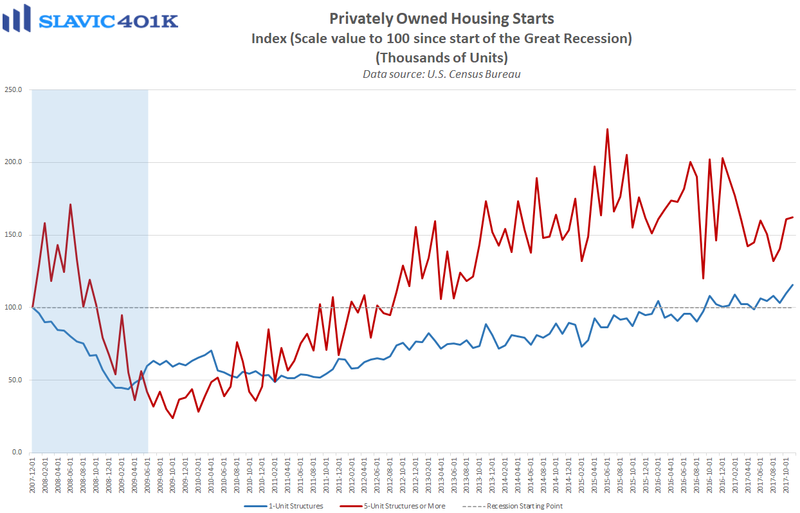 NAHB chairman Granger MacDonald attributed some of the recent strength to “new policies aimed at providing regulatory relief to the business community,” and NAHB chief economist Robert Dietz added that “with low unemployment rates, favorable demographics and a tight supply of existing home inventory, we can expect continued upward movement of the single-family construction sector next year.” Of note, though, was a sharp drop in builder confidence that occurred only in the Northeast, potentially a reflection of the proposed SALT changes in the tax bill currently making its way through Congress.